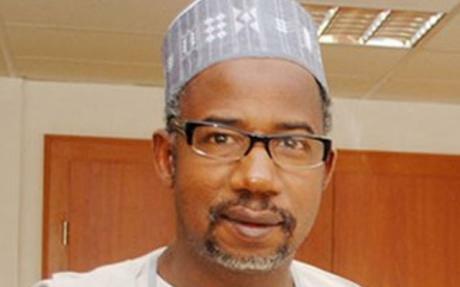 Thirty-two political parties and 20 governorship candidates have formed a coalition with the Peoples Democratic Party (PDP) and its candidate in Bauchi State, Senator Bala Mohammed, as part of their renewed effort to unseat incumbent Governor Muhammed Abdullahi Abubakar in the governorship election of Saturday, March 9. This is the third time political parties and stakeholders will be making the attempt. The parties, according to the leader of the coalition, Bello Kirfi, announced their position to support PDP candidate at the end of their meeting held yesterday at River Edge Hotel in Bauchi. Kirfi named the parties in the coalition to include United Progressive Party, Green Party of Nigeria, Change advocacy Party, All Peoples Movement, All Blending Party, People’s Democratic Party, Action Joint Alliance, Advance Peoples democratic Alliance, Grassroots Development Party of Nigeria and Accord Party. Others are the Independent Democrats, All Grands Alliance Party, New Generation Party, Nigeria People’s Congress, Legacy Party of Nigeria, Modern Democratic Party, New Progressive Movement, Providence Peoples Congress, Peoples Trust, Advance Allied Party and the Alliance National Party. According to Kirfi, other parties include the Alternative Party of Nigeria, Alliance of Social Democrats, Change Nigeria Party, Congress of Patriots, Liberation Movement, New Progressive Movement, Peoples Coalition Party, Socialist Party of Nigeria, United Patriots, Young Democratic Party, All Progressives Grand Alliance and the People’s Democratic Party. Kirfi said the effort was part of the continuation of their struggle to defeat Abubakar by supporting a candidate who has “the courage and the wherewithal” to defeat the incumbent in the 2019 election. He urged people of the state and the stakeholders to support Senator Bala Mohammed. The PDP gubernatorial candidate, who was represented by Abubakar Kari, thanked Kirfi for his efforts. The parties said that they had perfected plans to foil an alleged plan to rig the polls, saying they would engage their supporters to protect their votes during the election. In a reaction, the Press Secretary to the Bauchi State Governor, Mohammed Abubakar, said the governor was not moved or threatened by the coalition. He said: “There is no opposition in Bauchi State. Ask anybody, about the party for the 2019 gubernatorial election and the answer you’ll get is APC.